… and they all start with wine, 56 glorious bottles of them. Plus a tasty food menu to keep you upright. Top up, we're going in. Spent much time in Wokingham? If you haven’t, you should have a mooch in this historic market town. 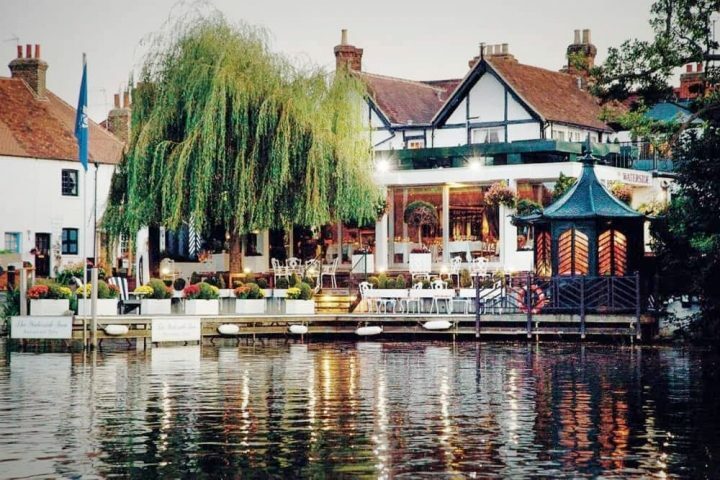 It consistently pops up as one of the UK’s Top 10 places to live and, despite the hideous traffic issues caused by the town’s massive ongoing facelift, there’s much to like. Fab inde shops, nice places to eat, and a few cool cafes and bars. Bar Fifty Six, previously old man’s boozer The Metropolitan, is a new wine bar that is reinventing the drinking genre to pull it out of the 80s. No Sade mindlessly pumping through the sound system, no wine snobbery, no power suits. It’s relaxed, cool, a great place to hang out and something unique to Wokingham. It’s amazing what a lick of paint can do to transform the outside of an old pub. The stale yellow render has been replaced with a fresh off white with grey woodwork – it looks welcoming and a lot less blokey. Inside has undergone an epic transformation. Someone had a lot of fun with a sledge hammer, that’s for sure. The bar, old store room and snug have all been knocked about to create an eclectic, open plan space. The decor has a hint of London, with industrial touches, standard metro tiles but given a fresh twist. 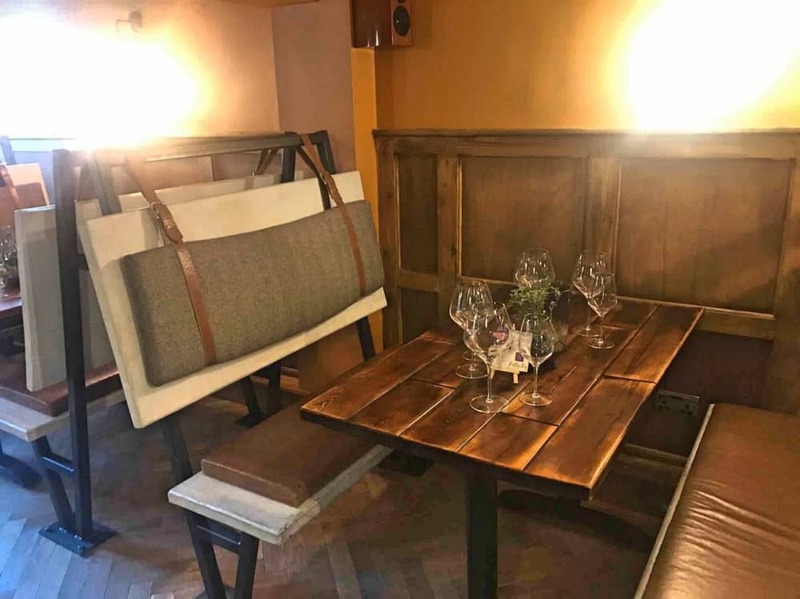 The seating is an mix of leather banquettes, button backed high backs and bistro style dining chairs. 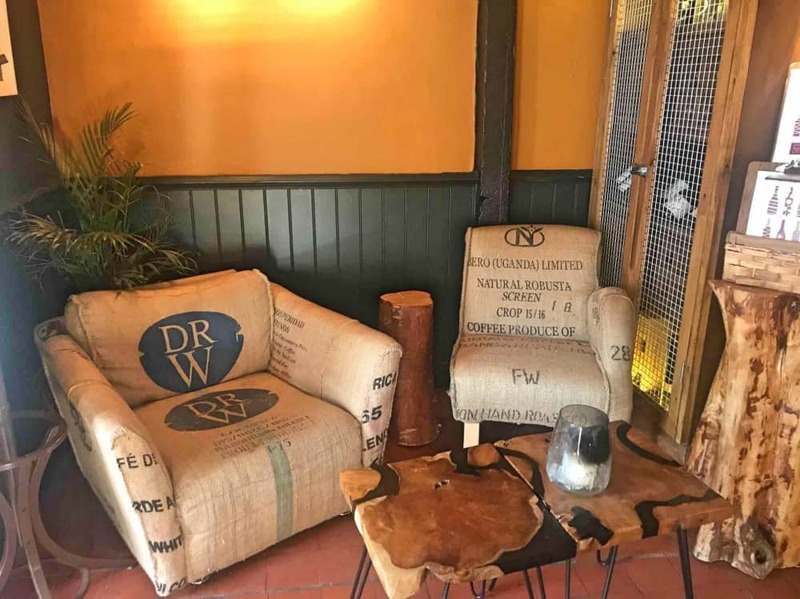 But I loved the sack cloth armchairs and the booths with headrests held on with leather straps show a flash of creativity. There is a slightly eccentric traveller vibe – appropriate when joint owners Andy Rogers and James Harris are encouraging you to take a wine tour without setting foot in a vineyard. Grab yourself a glass, we could be here a while. According to Andy, 56 is a significant number. 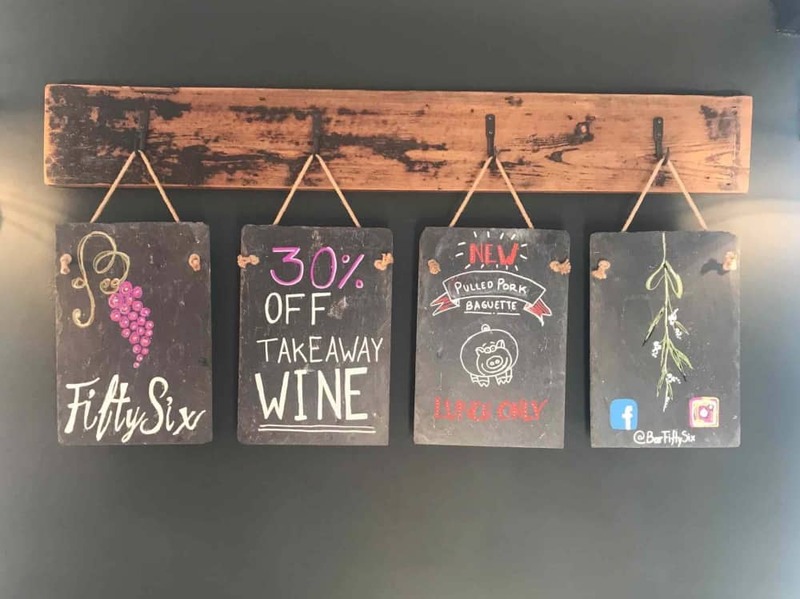 In Chinese numerology is represents friends, family and community, there are 56 different bottles of wine on the menu and the building just so happens to be number 56 on Rose St. If the boys had there way there would be 56 seats, but they need to make a living so there are actually a few more than that. Remember Dustin Hoffman in Rain Man – it’s like a numerical tick. (I’m joking). 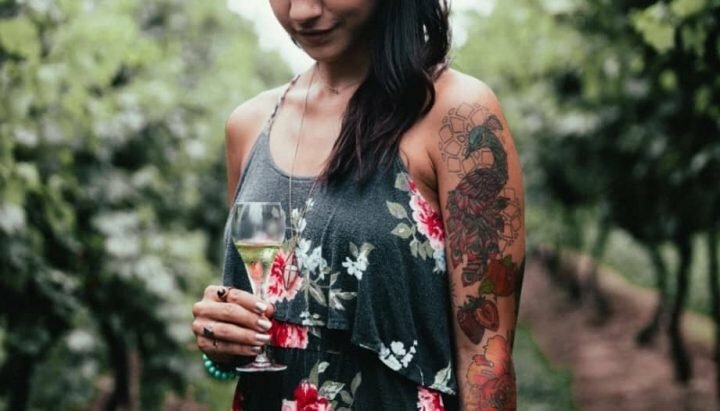 The wine menu is the main event. Having gone direct to the vineyards, the wine list throws up a few surprises… and it’s intentional. Andy is a self-confessed wino and has enjoyed every tasting sesh to bring a reasonably priced selection of 20 whites, 20 reds, 5 sparkling wines (including Muddy fave Prosecco Colucci based in Berkshire), 4 Champagnes, 3 rosés, 3 ports and 1 dessert wine, with prices start at £17.50 to £135 for a bubblicious Perrier Jouet Belle Epoque Champagne. 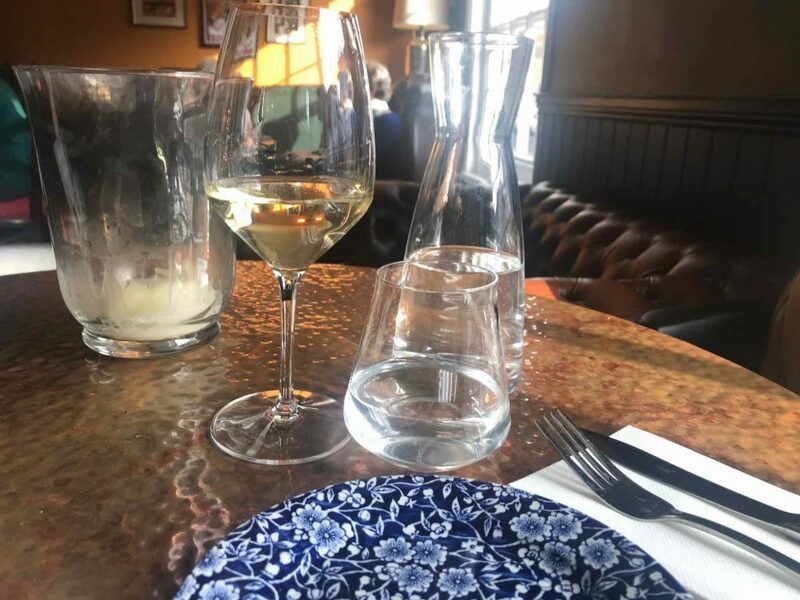 The majority of the wines are priced at at £30-£40, so if you wanted a seriously sassy bottle of something good, you won’t need to remortgage the house to pay for it and there are lots of options by the glass. German Riesling was recommended for my lunchtime visit. I experienced an 80s flashback of my mum opening bottles (who am I kidding, it was a box) of Liebfraumilch, Blue Nun and Black Tower (but only at Christmas… this was the good stuff). It was possibly the worst glass of wine ever. But I’m happy to be proven wrong. So first up was a glass of Gewütraminer Alsace (£12.50 a glass/ £34 bottle), and I have to admit it was really good. Fruity, with a hint of spice. Not at all what I was expecting, but actually very smooth and drinkable. The food menu is not extensive, and the plates are small. So if you’re looking for a traditional 3 courses, you’ll not find that here. But if you like to pick and mix sharing platters and smaller plates then Bar 56 hits the spot. 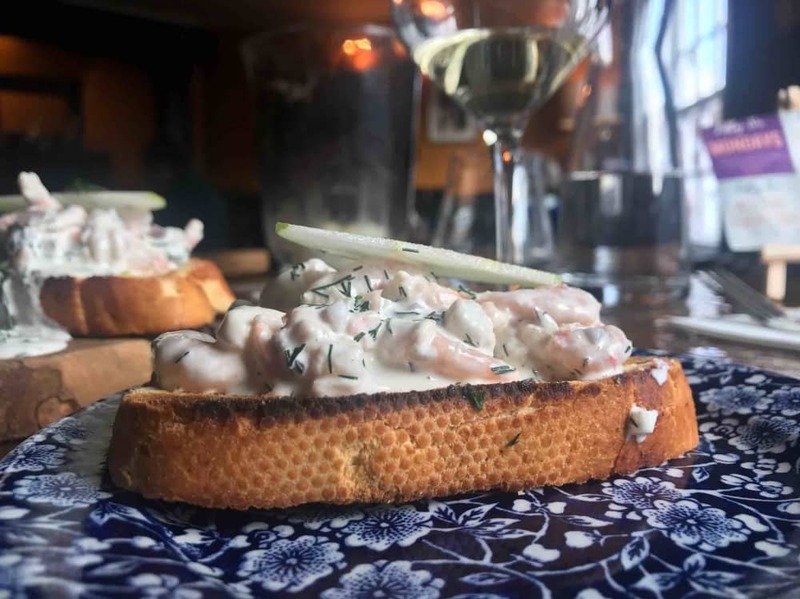 I ordered the Skagen – a Swedish dish of prawns, creme fiche, dill, apple and red onion, served on toasted bloomer. It’s light, tasty and well balanced. To much dill and it could have been a different story. 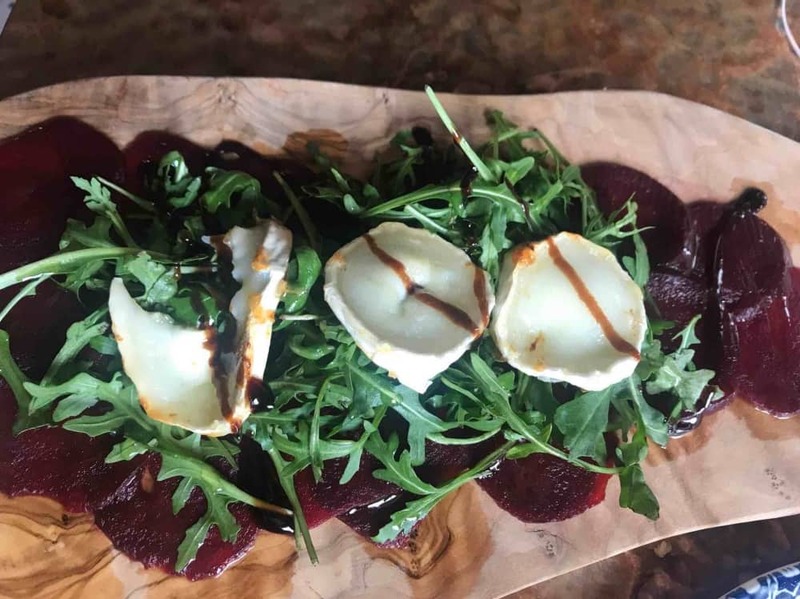 I also wanted to try the beetroot carpaccio with rocket and goats cheese and simple olive oil and balsamic dressing. This is right up my street. More often than not chefs can get a bit heavy handed with the dressing, a big turn off for me. But this was well balanced. I’m not sure it would have been sufficient as a dish on its own, but I can’t argue with the flavour. This cheeky number was washed down with my favourite glass – Dr Konstantin Frank dry Riesling (£38 a bottle) – a tangy white with a hint of grapefruit, lime and star fruit. When did Germany up its wine making game? I guess we’ve all changed in 25 years. 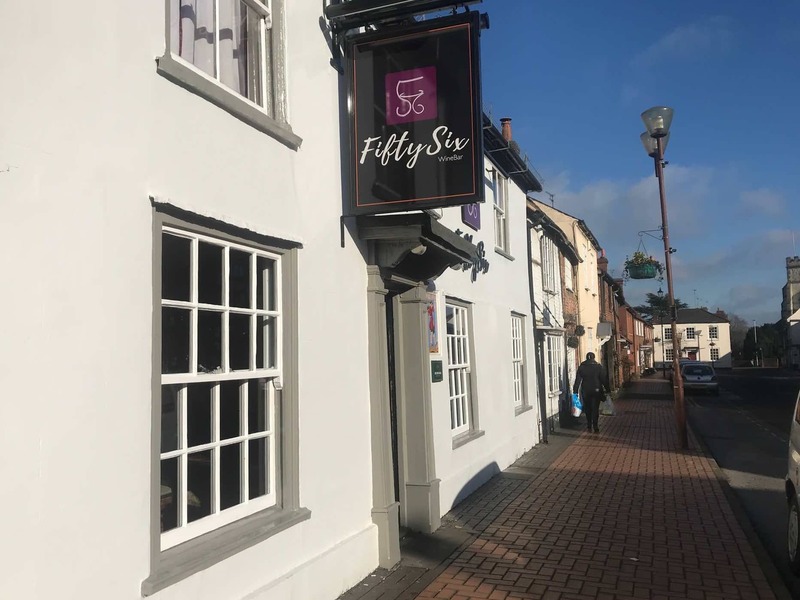 Good for: Anyone who loves wine or fancies a pub alternative, girlie lunches, fun date nights (there’s a cracking list of artisan spirits and watch this space for the Bar Fifty Six small batch gin) and after work get togethers. 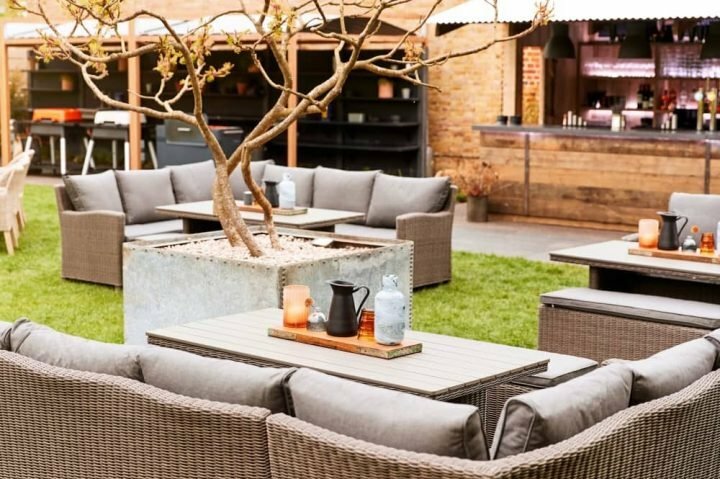 If you need a worky lunch venue, the chilled Ibiza tunes and phenomenal wines will definitely break the ice. Not for: Those wanting the full 3 courses with starched table clothes and stiff waiters and an extensive food menu. Tapas style small plates are not everyone’s bag, but if you settle in for the afternoon or evening, you can just keep ordering more. ££: The food is good value at £5-£6 a plate. It’s the price of your average starter. After a few glasses, your drinks bill could get out of hand… or not. 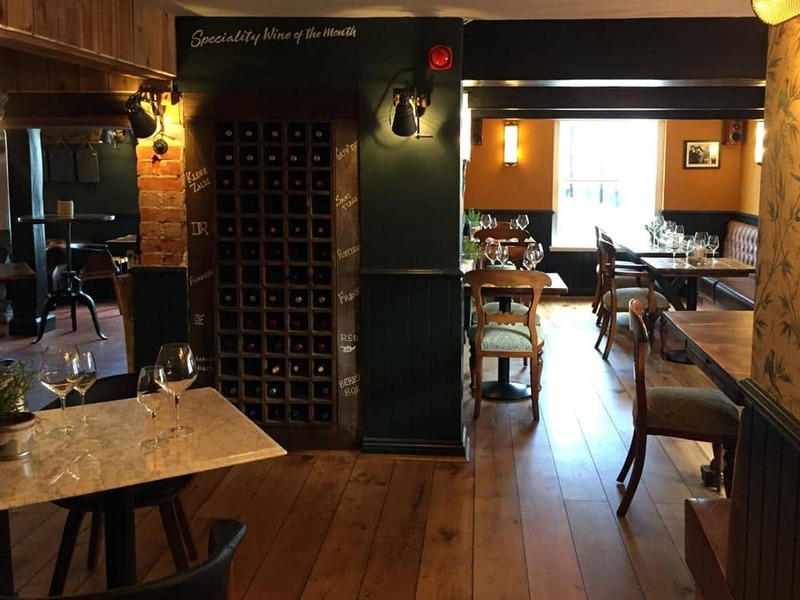 Bottles start at £17.50 and there are more than 30 wines are available by the glass. They’ll even give you 30% off the list price if you want to buy a bottle to take home. Cheers to that.